PLANED is working in partnership with Building Communities Trust (BCT) taking up the role of community sector representation on the Third Sector Partnership Council. 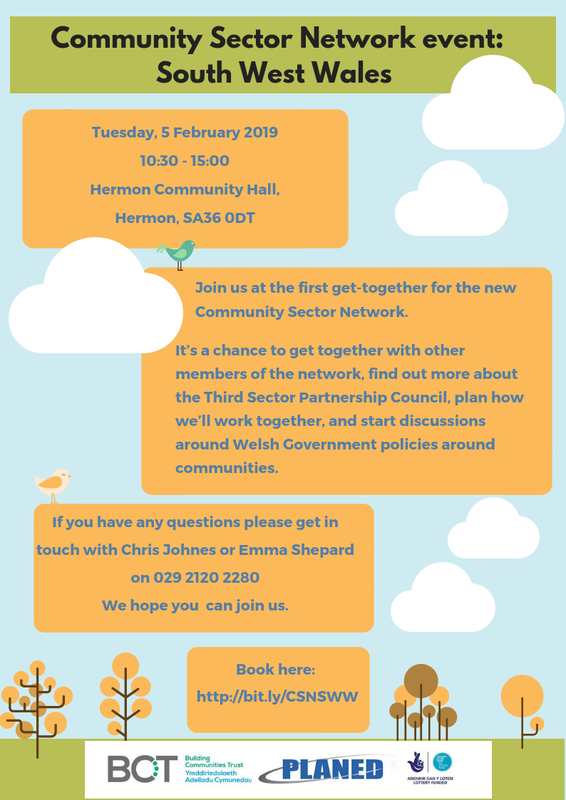 The Third Sector Partnership Council is a forum for discussions between representatives of third sector networks and the Welsh Government. It provides an opportunity for the sector to raise issues of interest or concern and allows for meetings with all Cabinet Secretaries twice a year. LEADER Manager at PLANED, Jessica Morgan said: “Our role is to represent the community sector – organisations working in specific geographical areas to benefit people living in those areas. Some of those organisations may also be social enterprises or working with particular groups such as younger people, but anyone who is working to benefit a particular place is welcome to join the network. The first meeting for the new Community Sector Network, South West Wales.